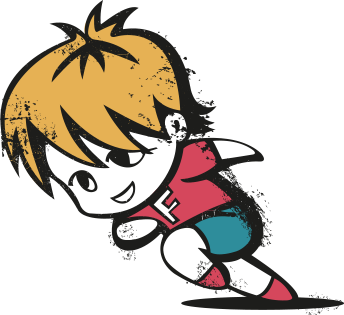 Freyathlon often comes up in chat in our office, so when I told my colleagues I would be playing badminton, Lucy and Kim both said how much they used to enjoy playing. I asked them for some tips and Lucy grabbed the office fan to demonstrate how to hold the racket. And they both made sure I understood it was all in the wrist action. My first attempt to complete the badminton event was thwarted by the absence of nets. Not so for my second visit. All four courts were already in use when I arrived and David suggested I joined three women to play doubles. I grabbed a racket from the store cupboard and joined the group. After introductions, we began to warm-up, knocking the shuttlecock between us and apologising (mostly me) when it failed to make it over the net or landed on an adjoining court. We decided to play a match and I explained to my partner this was only the second time I’d played badminton. Expectations managed, I served. Straight into the net. My partner and I had opted to play side by side rather than at the net and rear of the court. It seemed a good idea to me – with no knowledge of anything else – but my racket quickly developed a massive hole through which the shuttlecock passed time and again while my partner jumped and leapt on her side of the court. If nothing else we were consistent, losing point after point, until 13:4 when something odd happened and we started to win points. We drew almost level and stayed close to our opponents’ score for the rest of the game. We didn’t win but it was close enough for me to feel OK about continuing to play. We swapped partners and played a second and third game, both games were close at times and more than a few good shots were played – which we all commented on, even if we’d been on the receiving end and lost the point. I may even have played in a game that ended in a win. In between games we talked about why we were playing and what we liked about playing with Lewisham Badminton Club. And I couldn’t agree more. If I’d known about the group when I’d been in early remission, I might have given it a go. It could have been a good way to reintroduce exercise at a pace and level that suited my health and fitness. To prove the point, Badminton England partnered with Macmillan Cancer Support last November to deliver Badminton 4 Macmillan Week – keep an eye out for this year’s dates. About 10 minutes from the end of the session, we decided there was time to play one more game and two of us swapped courts. 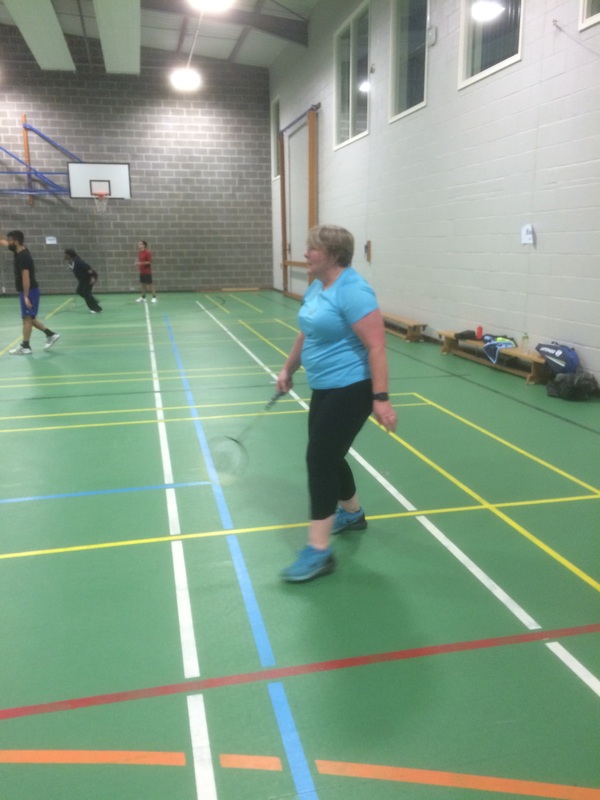 My partner was Luke, who told me he was back playing badminton after a gap of eight years. I confided this was my second evening playing badminton and he courteously replied we were probably a good match. We weren’t. He zipped across the court, leaping and twisting to swipe shuttlecocks I barely saw and were well beyond my reach. Despite Luke’s best endeavours, we lost the game. 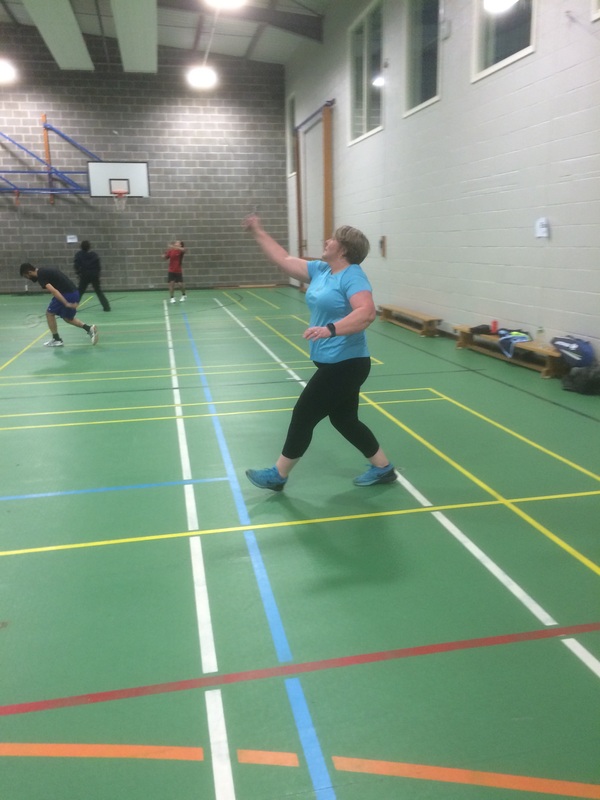 It’s a lovely club, set up and run by people who enjoy the sport and want to play badminton with others. My tip: join their Facebook group and let David or Cedric know if you’re going to play.